This year has been an amazing year for kingfish fishing off the Miss Fluer. 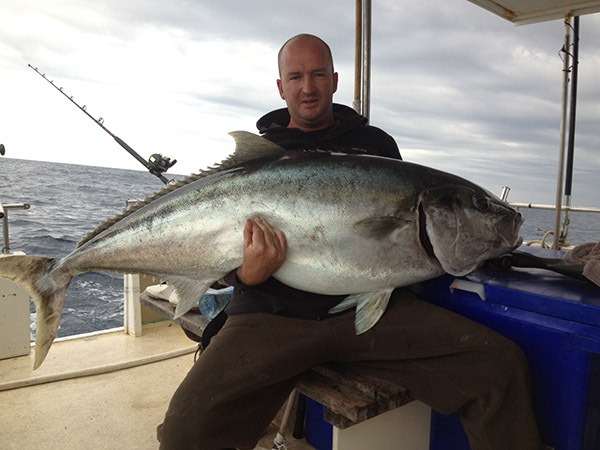 A massive 47.2kg Kingfish was landed in February. This fish was the Largest Kingfish landed for the year (worldwide), it took the Mt Manganui Sports Fishing club all tackle record and came 1st place in the blue water classic. Another whopping 45kg kingfish was also landed taking the 37kg tackle record for Tauranga Game fishing club. 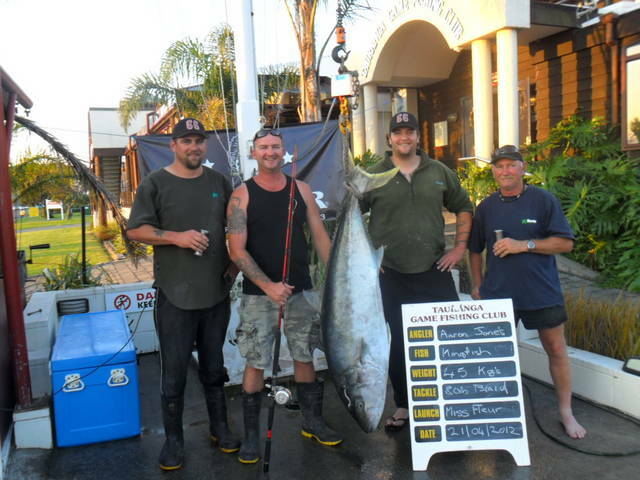 Many fish have been caught between 20-35kg mark one of which took 2nd place in the blue water classic. 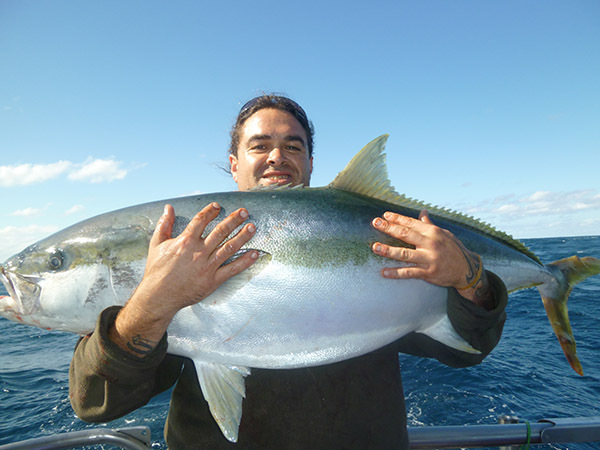 Kingfish are New Zealand’s most accessible gamefish and while they have been reported all around New Zealand the Bay of Plenty is considered the best spot in the world. Kingfish take a variety of natural and artificial bait but are particularly susceptible to live baiting. Jigging and stick-baiting are also very good methods. We can supply jigging rods and live baiting gear if needed. Areas fished include, Schooner Rocks, Penguin shoals, Penguin rise, Mayor Island and The Rangiteras. Both full day and overnight trips can be arranged. Overnight trips consist of staying on Mayor Island in the cabins and fishing off the boat during the day. Departing in the evening and staying overnight at Mayor Island ready for a full days fishing from $1600 (accommodation at Mayor Island not included in price). We offer a two or three day trip to Mayor Island, first day targeting kingfish, second day targeting hapuka and the third day targeting yellow fin tuna and Marlin. 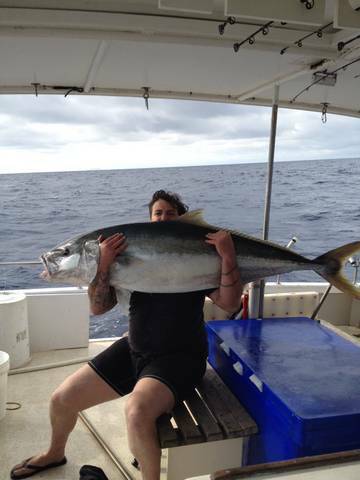 Two day trip $3600, three day trip $5400 (price includes bait, rod hire and accommodation at Mayor Island). Targeting species can be changed to suit your group booking.